This is so tragic! Did Quasimodo at least survived the fire? Yes, he's posting in the Politics forum about how immigration to Europe is a great thing since it replaces the white... er, I mean "aging population." 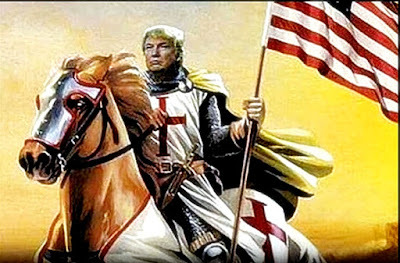 It's time to bring back the Crusades. Anybody with me? Is that Don(ald) Quixote? Where's his sidekick Mike 'Sancho Panza' Pence? Sad day. Hopefully there's an ability to salvage some of it and work forward to the future. It's not the first Cathedral that needed a renovation/rebuild. WWI, WWII ravaged historical cathedrals across Europe and many were rebuilt to close to their original splendor. Unfortunately, many of the wartime cathedrals had their interior artwork, furniture moved to safety so the destruction wasn't as catastrophic. Maybe for the time being we only need a whaling wall.